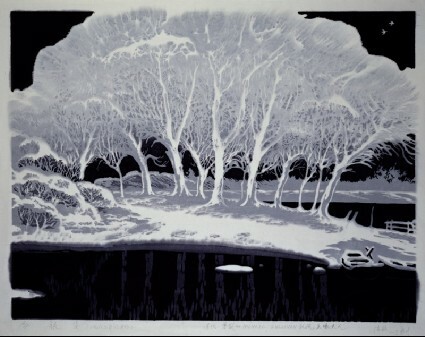 Shuiyin print is a technique perfected early in the 17th century in southern Anhui province and Nanjing, Jiangsu province. The blocks are hand-coloured with watercolor and printed on multilayer sprayed paper to produce subtle gradations of tone and atmosphere, the aim being to create the effect of a painting. 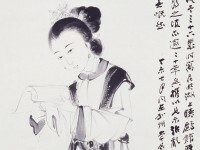 With the fall of the Ming Dynasty (1368-1644), the tradition in Nanjing declined and was not revived until the early 1960s, when the Jiangsu branch of the Chinese Artists Association held training sessions in the technique. Shuiyin is a water-soluble ink printed woodcut.